Hello. I see you have a 900 Custom. I am thinking of getting another bike and I am trying to decide between the VN750 and the 900 Custom. I assume you have had both? Or, do you still have both? Which do you favor more? Is there an reason why I shold choose a 750 over the 900? 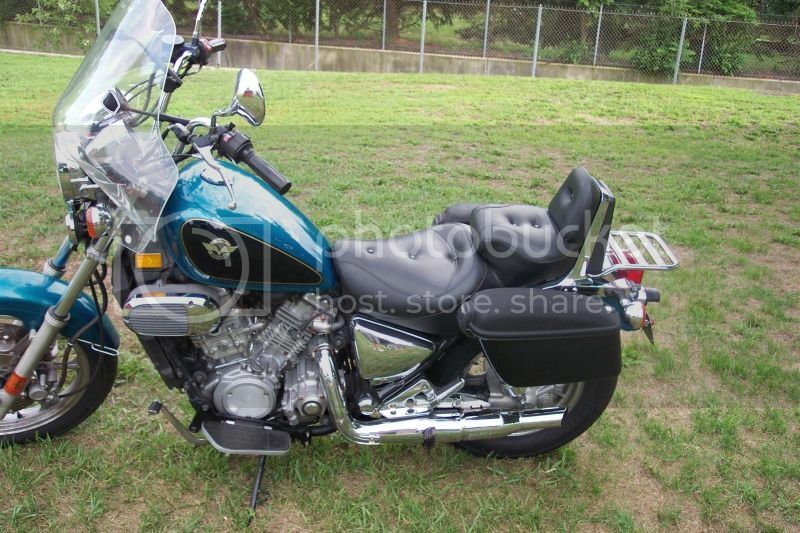 I am currently riding a Suzuki VS1400; no not getting rid of it, just want another bike. Thanks for the reply. 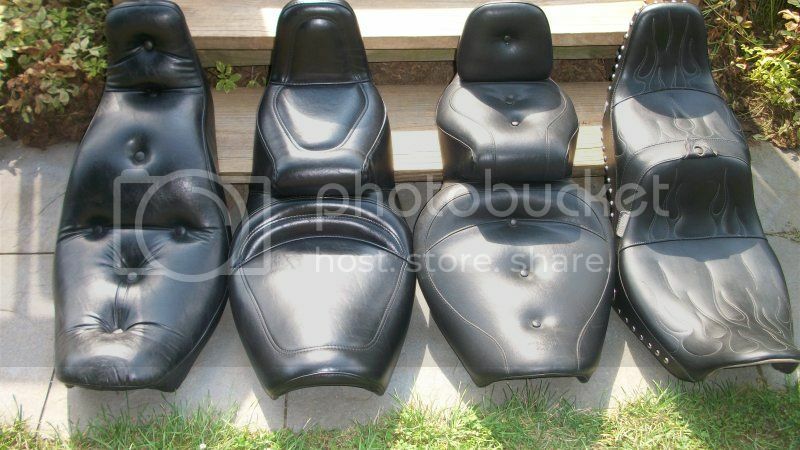 Do those seats bolt right up, or do you have to do some fab work? Hey man, ran across your seat comps just now. Love the mustang. What model is it for and what did you have to do mount it up to the 750? Thanks a bunch! I got that cap in the mail yesterday! Thanks again for your help man! I really appreciate it! Hello, I was wondering if you might be able to send me the drawings of the rear seat compartment you designed. I too am missing the cover on my 94'. Much appreciated. Do you still have the drawings of the toolbox cover? If so please email them to [email protected] Thanks! 09:43 AM - shark88 quoted Spockster in post Looking for parts on the 86 I just got. 09:41 AM - shark88 quoted Spockster in post Looking for parts on the 86 I just got. 01:03 PM - Spockster quoted shark88 in post Selling My VN, New Tires or Not? 01:02 PM - Spockster quoted shark88 in post Selling My VN, New Tires or Not? 04:32 PM - shark88 quoted Sig in post Looking for parts on the 86 I just got. 06:57 AM - Sig quoted shark88 in post Looking for parts on the 86 I just got. 02:06 PM - TheJabberWoggy quoted shark88 in post Looking for parts on the 86 I just got. 09:52 PM - shark88 quoted OleDirtyDoc in post Looking for parts on the 86 I just got. 10:36 PM - shark88 quoted One1 in post Vulkan,over and out..! 10:37 PM - shark88 quoted vulkan in post Vulkan,over and out..! 08:26 PM - shark88 quoted vulkan in post Should I buy another one? 12:03 PM - shark88 quoted Spockster in post Should I buy another one?